With the current Missouri River flooding disaster and earlier Mississippi River flooding occurring through much of the middle of the country we are hearing a lot about terms like cubic feet per second, carrying capacity, inflow, outflows, surcharge, and US Army Corps of Engineers flood inundation maps. There is obviously considerable loss of property and the length and scale of this disaster are yet to be known. As rivers (both large and small) increase levels and change course there are extremely high amounts of sediment being moved by the flooding. If you live on a lake that is fed by a creek or river, there is a high need to monitor and map out sediment accumulation. This entry was posted in Lake Map, Sediment and tagged arkansas lake map, Bathymetric Map, Bathymetry, dredging a lake, dredging a pond, dreging, Fishing, GPS, GPS Lake, GPS Map, lake, lake dredge, Lake Management, Lake Map, Lake Mapping, lake sediment, Lake Survey, Missour River Flooding, Sediment, sediment map, sediment problems, sediment removal, Sedimentation, Survey, The Mapping Network on June 30, 2011 by Moderator. Lake Dredging Due to Sediment Problems? 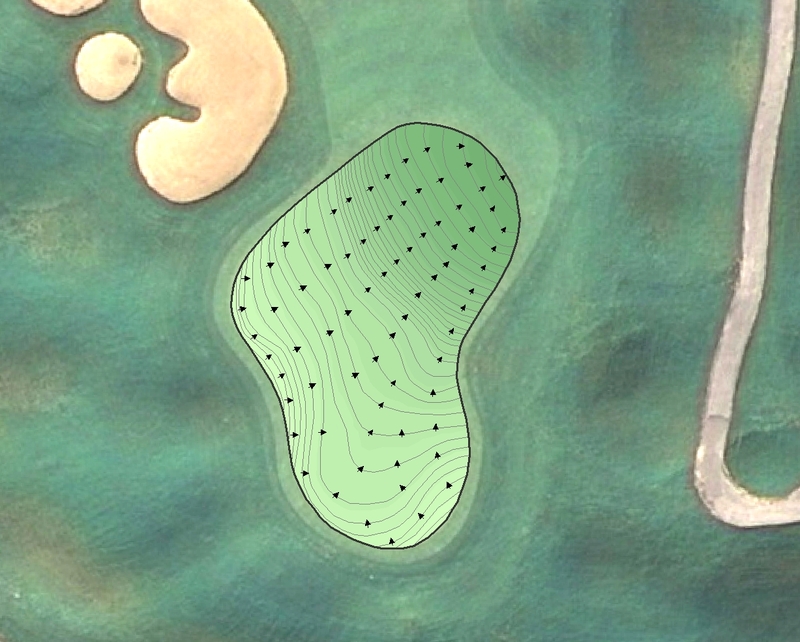 Save Significant Money on Dredging Projects with The Mapping Network! – where is the highest sedimentation occurring? 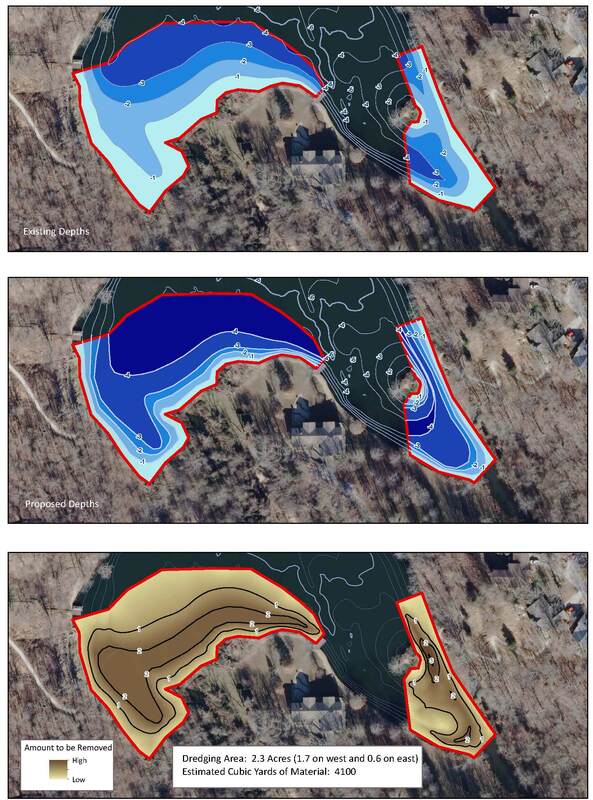 A series of maps showing the selected area for dredging. 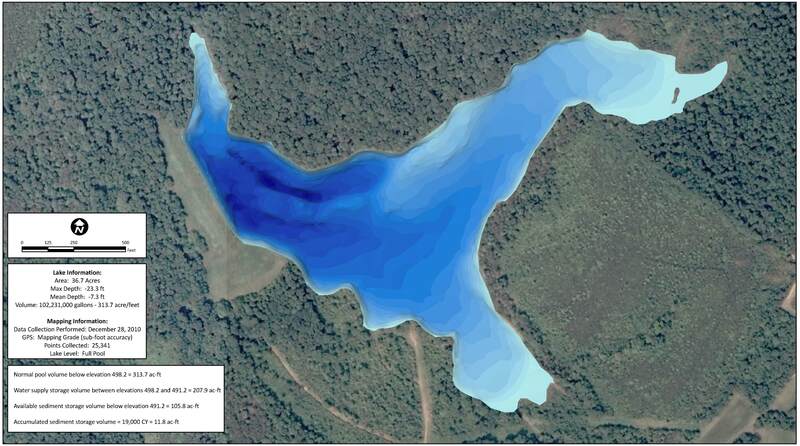 The current lake bathymetry (top) and the post-dredge contours (middle) are shown in blue shading. A cut-fill model (bottom) shows areas of cut needed to reach the goal. 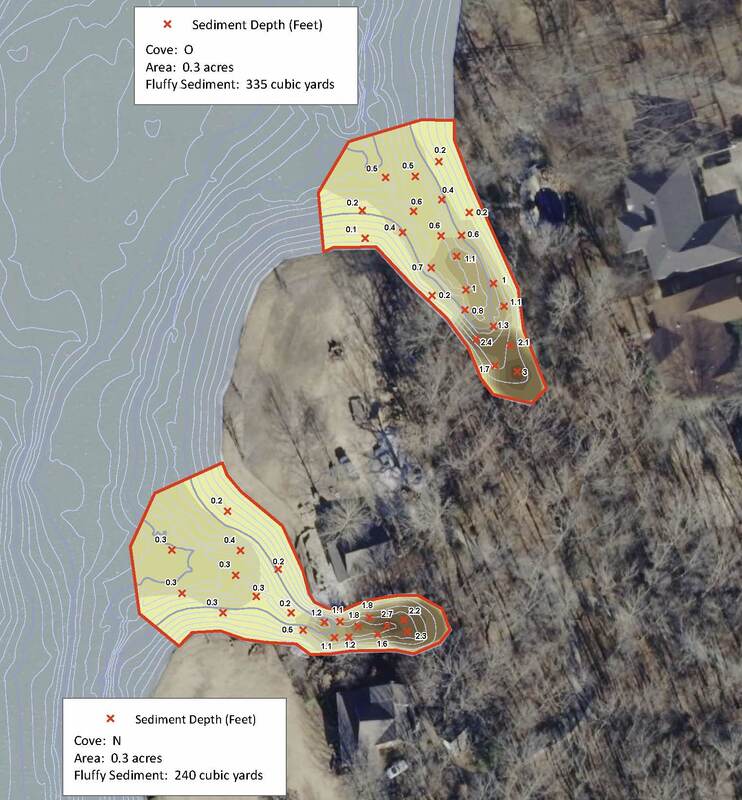 This entry was posted in Lake Map, Sediment and tagged arkansas lake map, Bathymetric Map, Bathymetry, dredging a lake, dredging a pond, dreging, Fishing, GPS, GPS Lake, GPS Map, lake, lake dredge, Lake Management, Lake Map, Lake Mapping, lake sediment, Lake Survey, Sediment, sediment map, sediment problems, sediment removal, Sedimentation, Survey, The Mapping Network on June 15, 2011 by Moderator. Sediment Problems in Your Lake? Start With a Lake Map! This entry was posted in Lake Map and tagged arkansas lake map, Bathymetric Map, Bathymetry, dredging a lake, dredging a pond, dreging, Fishing, GPS, GPS Lake, GPS Map, lake, lake dredge, Lake Management, Lake Map, Lake Mapping, lake sediment, Lake Survey, Sediment, sediment map, sediment problems, sediment removal, Sedimentation, Survey, The Mapping Network on March 8, 2011 by Moderator. A series of maps showing the seleceted area for dredging. The current lake bathymetry (top) and the post-dredge contours (middle) are shown in blue shading. A cut-fill model (bottom) shows areas of cut needed to reach the goal. 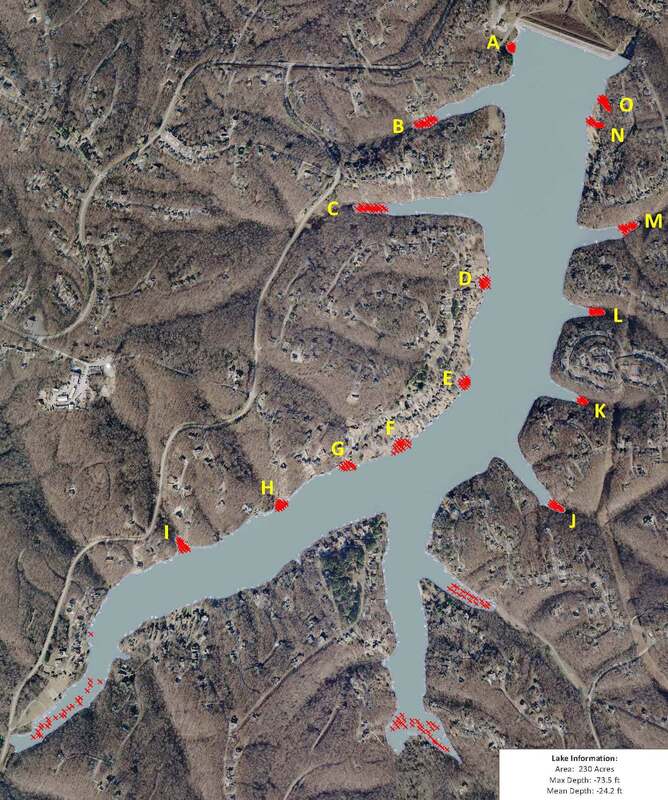 This entry was posted in Lake Map and tagged arkansas lake map, Bathymetric Map, Bathymetry, dredging a lake, dredging a pond, dreging, Fishing, GPS, GPS Lake, GPS Map, lake, lake dredge, Lake Management, Lake Map, Lake Mapping, lake sediment, Lake Survey, Sediment, sediment map, sediment problems, sediment removal, Sedimentation, Survey, The Mapping Network on January 27, 2011 by Moderator.